In this project we will see how to control the power outlets of your home natively and in cloud using raspberry pi running on windows 10 iot, xbee and arduino. All the code samples are available in github. Instead of controlling the devices from cloud, if you could automate the power outlets, we can connect any devices to the power outlet and control them. In this project, I have taken examples to control a fan and light. I have taken Xbee to transfer radio signals. One Xbee called the Co ordinator is connected to raspberry pi and the other called Router connected to power outlet. The Coordinator sends the signals based on our input to Router to control the power outlets. Please watch this tutorial on configuring the Xbees in AT mode. You need to make sure that these two Xbees talk to each other before we proceed to the next step. We need the Zigbee Router, Arduino UNO R3, Xbee Shield for Arduino and Arduino relay shield. Instead of directly configuring the relay to the power outlet, I used extension cord. The concept is same though. I used Xbee Shield to Connect the Xbee to arduino. Make sure that the settings in the shield is set to Xbee. This shield along with arduino can also be used to write the firmware settings when we set the switch to usb. It uses arduino's build in FTDI chip to write the data to Xbee. 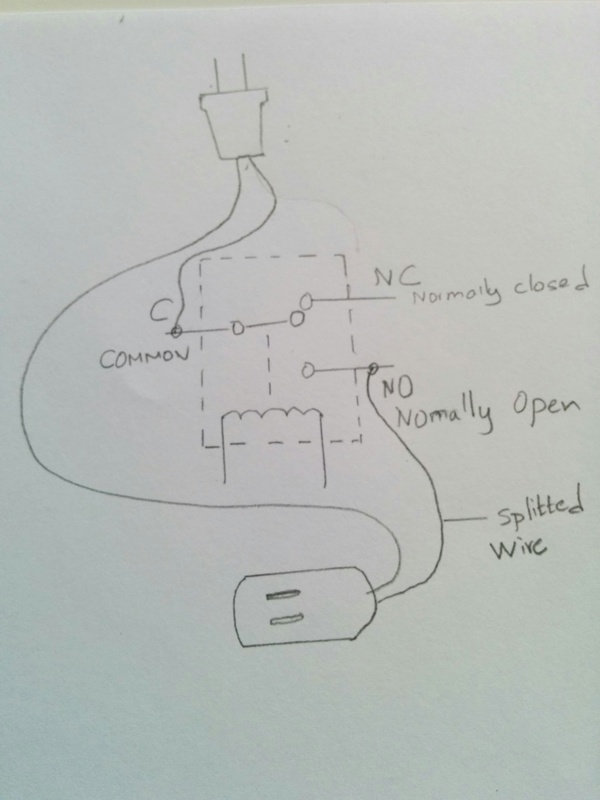 Plug in the cords and power up the arduino using external battery source. The receiver is done. To setup up the server we need the Raspberry Pi 2 running on windows 10 IOT and Zigbee set up as coordinator. Connect the Zigbee to FTDI adapter, and 6 pin FTDI RS 232 USB cable to raspberry pi usb port. We will set up a webserver on the raspberry pi using UWP. The server will wait for user input and based on the selection, it will write the serial data to usb port in which the FTDI RS 232 cable is connected, the Zigbee will transmit this message as radio waves. We have already set up the router's DH and DL in the coordinator Zigbee, so the message is sent to correct Zigbee Router. Please follow this video to setup the server on Raspberry Pi. All the code samples are available in github. To control our home from anywhere in the world, we enable cloud services to our application. You need to create a website and host it in azure. Create a Azure SQL DB to authenticate/ authorize the users for your site. Create a Azure Cloud Storage Service to take up our commands. Process these commands from Raspberry PI Blinky App and control your home. This kind of automation solves many real world problems. By attaching additional sensors like light and motion detector, we can turn on/ off the light or atleast provide the data to user to save energy. Elderly people can use remote to control their power outlets. In this case, we need to have additional RFID device. We can create schedule to turn light on/ off so that the power can be saved. If there are any intruder, all lights can be turned on. On a vacation, no need to worry.. we can just shut off our home within a click of a button. No need to maintain your room temperature all the time, do it when you feel appropriate. Saves energy.